We all have episodes of coughing during our life and often these bouts are mild and do not cause us too many problems. Heavy or persistent coughing however can damage our throat and the complicated network of structures that form this intricate part of our anatomy. 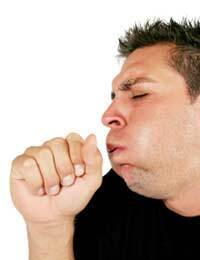 Coughing is normally caused by an irritation in the airways. This irritation may be caused by smoke, debris, an infection, pollution or even choking. Irritants do not just occur outside our homes as often pet hair, dust or even aerosols and similar can irritate our airways enough to make us cough. How Does It Affect Our Throat? Coughing can affect our throat in many ways. A short term cough when accompanied by a cold for example is unlikely to cause any serious damage to our throat, but persistent coughing may put us at risk of developing an infection. Again this may not be serious but if left to develop or get worse, could pose an infection risk to other parts of the anatomy. A long term cough may also risk the tissues of the throat becoming inflamed. Try drinking sips of water to keep the throat clear and the area hydrated. Dry coughing which can result as a product of our environment such as lack of moisture in the air, pollution or a smoky atmosphere can be very annoying and may cause a sore throat if it continues. Try sucking lozenges and drinking often to keep the throat soothed and lubricated. Most bouts of coughing resolve themselves with or without the help of over-the-counter remedies or home-made recipes. Sometimes however a persistent cough can be a sign that there is something occurring in our respiratory tract that needs looking at by a medical professional. Smokers however, may find that they frequently have a persistent cough as their airways are often irritated by the smoke and because their lungs are filling with poisonous substances and mucous. In these instances medical assessment is not necessary unless breathing is severely affected or there is blood present in the sputum. Any blood or discolouration of the sputum may be a sign that there is an infection, bleeding in the lungs or the coughing has strained their airway so much that a delicate blood vessel may have been forced to rupture. Most smokers are now aware of the huge impact the habit has on health and will know that there are no benefits at all and they are risking many areas of both their own health and the health of those around them. If you have a sore throat and a persistent cough that shows no sign of improving after a week or two, you may need to see a doctor and have a medical assessment. Coughing is something most of us do on a daily basis and do not spend much time thinking about, but persistent coughing can risk damage to the tissues of the throat region. If you have a persistent cough and are concerned about the effects to your health, speak to your GP who will be able to give you more advice. I had a case of flu in march 2015, this gave me a cough but when the flu cleared the cough remained, I have had numerous test diagnoses, asthma, given both ingaikers over 6 months, X-rays and bloods taken, nothing wrong, camera down the throats and all that was seen to be wrong was inflammation so diagnosis was gastritis, took the two week meds with no change, have had antibiotics a few times throughout up until now, nasal drip, had the meds with no change Lung function test was fine, the doctor did he doubted he would find anything on the ct scan but was sending me just in case as they don't know what's causing it, but I found I was pregnant just days before the scan. The doctor has said it anyone stress related!That's a fib off because they won't look into alternative causes, this has stressed me more then other thins that have happened that had me in cutkopram for 19 years; I'm desperate for an answer and a solution. I sent my hairs off to a lab for intolerance testing As I had been reading many things and decided to try this out, since I've had IBS and a few other symptoms which couuld be from anything I know, but I'm desperate for an answer, it came back with 40 odd results! I find that hard to believe and am counting down the days to my allergy clinic appointment even more keenly then I am to my 20 week scan, I just hope they take me serious and help where the other doctors haven't been able to. Anyone else have a similar story and can offer some advice? I had the worst case of bronchitis EVER.In Sept I coughed for 5 weeks (no mucus).Recovered, then in Dec got some sort of upper respiratory thing with mucus in my bronchi and lungs. I have NEVER coughed so much in my life.I felt like I was ripping my throat out! I have taken TONS of Mucinex, cough suppressants, Benadryl and sleeping pills.Was put on an antibiotic at about day 10, because the doctor thought it was a virus at first due to my blood test showing low WBC and platelet counts. but as it refused to clear out and actually got worse I was put on 10 days of Cefdinir.At day 7 I felt like I was choking and my throat was closing off so we took me off it.10 days later I am well... BUT I feel like there's something in my throat.Don't want to eat. Hard to swallow anything but liquids and having an anxiety disorder anyway... I am having total panic attacks.My doctor dismissed us (due to some stupid misunderstanding) so we are without a primary care.She did this RIGHT in the middle of me being on the antibiotic. (That's a whole other story I won't bore you with. But we're thinking of going to the medical board.) I'm just wondering if I could have damaged my throat! !And what kind of doctor do I go to find out what's wrong.I've come close to going to the emergency room, but we don't have good insurance here in the US.I'm open to any and all suggestions. I have had swallowing minor discomfort issues for over a year been to the ENT 2 times and he said first it was acid reflux and it did go away for a couple months but it's back and the 2nd time ENT said reflux was gone and it must be amuscle issue? No problem swallowing or eating just discomfort, No lumps and he put a camera in throat said looked normal but I am concerned it will never go away.